The smallest and most economical member of the Kennedy/Gioia family, Backpack Literature: An Introduction to Fiction, Poetry, Drama, and Writing , 5/e is a brief paperback version of the discipline’s most popular literature anthology. 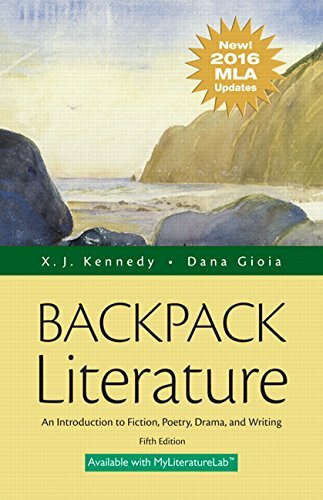 Backpack Literature introduces college students to the appreciation and experience of literature in its major forms and develops the student’s ability to think critically and communicate effectively through writing. The book is built on the assumption that great literature can enrich and enlarge the lives it touches. Both editors, literary writers themselves, believe that textbooks should be not only informative and accurate but also lively, accessible, and engaging.